Lisa Murray manages AmericaServes community networks in the South Eastern Region for the Institute for Veterans and Military Families (IVMF). Working across Virginia and the Carolinas with federal, state, and community-based organizations, Murray empowers the development, launch and operation of four high-performing coordinated networks of services, resources, and care that are dedicated to improving the lives of veterans, service members and their families. Leading Communities of Practice that connect over 200 human service providers in Charlotte, Raleigh/Durham/Fayetteville, Asheville and the installation communities of Coastal North Carolina, as well as South Carolina, Murray and her teammates at the IVMF combine the best practices and methodology of private business, research universities, and impactful military and veteran organizations in order to achieve their mission of optimizing the performance of human service providers that care for veterans. Building Communities of Practice that share learning and seamlessly service clients from big cities to rural military-base communities is what Murray and her team have become known for in the dozens of communities that they support every day. 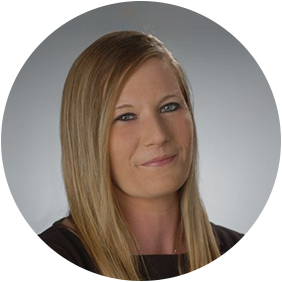 In addition to her work in the Carolinas and Virginia, Murray plays a vital role in the development and direction of the IVMF’s Community of Practice with the New York State Supportive Services for Veteran Families (SSVF) grant programs and the AmericaServes networks. Prior to joining the IVMF in May 2014, Murray worked as a Program Manager at the Veterans Outreach Center (VOC), Inc. in Rochester, NY. There, she was responsible for the daily operations of the SSVF grant program designed to serve low-income, veteran families who are at-risk or literally homeless. Murray’s organization was one of the first to receive funding from the VA for the SSVF program. Murray was instrumental in writing the VOC’s second SSVF grant application for SSVF funding in Buffalo, NY. Her dedication, leadership and project management skills were instrumental in the program emerging as a lead organization in the veteran serving space. The VA made the VOC a mentor for new SSVF programs. Murray was asked to collaborate with the IVMF’s Technical Assistance Program and helped build a training and educational opportunity designed to assist new SSVF programs. Murray is a proud veteran of the U.S. Army. She was a member of the U.S. Army Chemical Corps and a Nuclear Biological Chemical (NBC) Sergeant. She served four years active duty in various roles that included mechanized smoke track commander and squad leader in charge of the health, welfare, training, discipline, professional development, and combat readiness of five soldiers. Murray held additional roles as the Unit Prevention Leader, Operations Sergeant and Combat Lifesaver both domestically and abroad. Murray is studying Communications and Rhetorical Studies for advanced degrees at Syracuse University and in her personal time, enjoys running, working out and spending time with her five children, husband Matthew Murray, and English Bulldog named Stella!